Every great organization has that one person who is literally the foundation of the company, representing all that is good. That person is Bill, our General Manager and overall chief of daily operations. Bill has been with Buster's for over three decades and has seen it all. 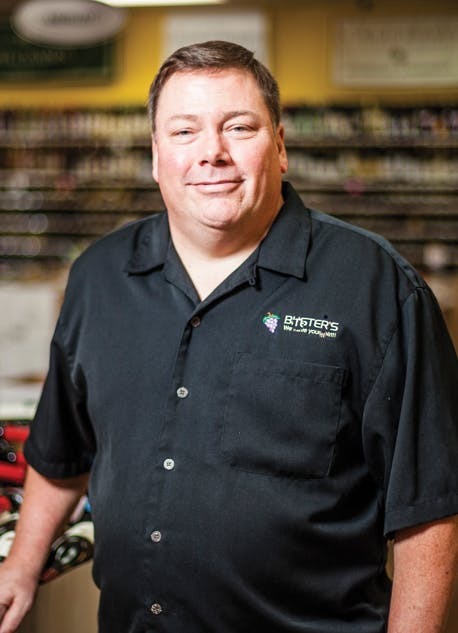 Whether it's helping customers find that perfect bottle of wine, filling displays, unloading trucks, or pouring through the tedious task of our personnel schedule; Bill has earned his nickname "The Rock". A Tiger alum, his industry knowledge can only be trumped by his tennis serve and his dedication to his family. A hard-working father of three and recent grandfather, he finds his place of zen on his back porch with an ice-cold margarita. Bill enjoys long bikes ride, grilling out, and meticulously manicuring his beautiful yard with the company of his loving wife Sarah.